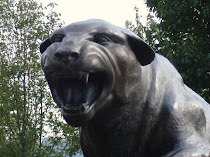 CARDIAC HILL - A Pitt Panthers Blog: So....Now What? After a somewhat disappointing loss against Seton Hall, many Pitt fans (myself included) are asking a collective, 'Now what?' After a short fall in the rankings, Pitt also found itself sliding in Joe Lunardi's meaningless, but fun, Bracketology, to a four seed. 1. Seton Hall is not nearly as bad as some thought. "We had 20 turnovers, 14 in the first half," Pitt coach Jamie Dixon said. "That usually will lead to a loss. Most amazingly, [the turnovers] all came in the half-court, which is hard to comprehend. We're making bad decisions and not executing well enough offensively and defensively." The question on a lot of minds is likely if it's panic alert time since Pitt could have easily lost three in a row. Ray Fittipaldo doesn't think so and I agree with that. I think Pitt really needs to regroup and win both of these next two, though, or some serious questions will start being asked. Games at home against St. John's and on the road at South Florida are games you MUST win if you're expected to be a top contender in the best conference on the planet. "We need to mentally get back to where we were," Dixon said. "I'm not going to say it's the rankings -- and I don't know how people are taking it -- but ever since our rankings got higher, I think our defense got worse." Opposing teams are playing more attention to Pitt sophomore guard Ashton Gibbs, who is 11 for 43 from the field (6 for 19 from 3-point range) in the past three games. Seton Hall's Keon Lawrence and Jordan Theodore were the latest guards to take turns chasing Pitt's leading scorer. "It's definitely more difficult," Gibbs said. "Teams are definitely keying a lot more on me. I've got to keep working on it, and it will fall sooner or later." 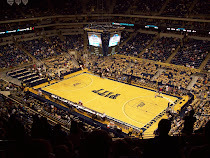 Poor defense, turnovers, sloppy play, poor shooting - Pitt can handle one, even two of those. But when three or four happen, it's difficult for any team to win. And that's what we've seen in the past couple of games. I can't state how important these next two games are for Pitt. If they can't manage to win both, there should (and will) be serious questions about just how good they are. Personally, I think they'll be fine. I don't see any possible scenario that they don't get to 20+ regular season wins and I think once in the tournament, anything can happen.